SEOUL, South Korea — South Korea plans to require local banks to launch a real-name system for crypto currency trading that will make the up-to-now anonymous transactions be traceable as the country seeks to curb speculation and criminal activities. 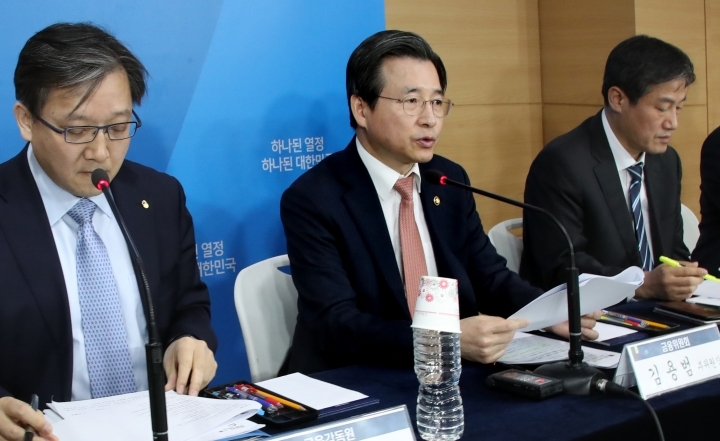 Financial Services Commission Vice Chair Kim Yong-beom said at a press briefing Tuesday that the new measures, to take effect next week, will prevent foreigners residing outside South Korea who do not have local bank accounts and minors younger than 19 from buying or selling bitcoins and other digital currencies. Once the new system is in place, existing accounts used for crypto trading up to now can no longer be used, he said. The moves follow warnings by South Korean authorities that they would ban anonymous trading in crypto currencies and crack down on speculative trading and possible crimes. Authorities are seeking to prevent use of crypto currency trading to engage in money laundering, tax evasion and other criminal activities. The new requirements are meant to ensure that a crypto currency investor's money comes from a bank account owned by the same individual. Banks will be able to refuse to open accounts with crypto currency exchanges that do not disclose information about suspicious trading. They were told to closely monitor crypto trading that exceeds 10 million won ($9,338) a day or 20 million won ($18,676) per week and also accounts owned by corporations or groups and report any suspicious activity to the authorities. "We expect that crypto currency exchanges that are in danger of being exploited for money laundering will be thrown out of the market," Kim told reporters. He said the government does not intend to encourage or stimulate crypto trading. South Korea is home to some of the world's largest crypto currency exchanges and a craze for bitcoin and other crypto currencies has swept the country. The price of bitcoin was nearly flat at $10,767.08 as of 0420 GMT Tuesday. It gyrated wildly earlier this month, soaring and then sinking on concerns over now South Korea and other governments might handle the boom in crypto currency trading.